Home › ASDHollywood › Articles & Essays › What Are You Doing New Year’s Eve? Nine years of “free” hats from Walt Disney World. Over the past nine “new” years, I have become a veteran of the New Year’s Solo Trip to Walt Disney World. Some of the details of what led up to my first New Year’s Eve solo trip will provide you with a few insights into Disney Vacation Club (“DVC”) membership. and one of my DVC “Home Resorts”. I first became DVC Member at the end of a weeklong solo trip to Walt Disney World in February 2000. I had been thinking about buying into DVC since I attended an “Open House” during a solo trip to the original version of The Disney Institute in November 1996. To get to the Open House, I had to make an appointment for a DVC van to pick me up at The Disney Institute (located where Disney’s Saratoga Springs is now located) and drive me over to Disney’s Old Key West. Unlike 2011, there were not DVC kiosks seemingly everywhere throughout the resort to get the process going: you actually had to take that first step by calling DVC. The Open House started in a heavily themed room with a “magical” ceiling that turned into a Peter Pan-like star-field as the lights dimmed and the welcome video began. The Open House then included a rather low-key meeting with a representative talking through the various advantages of DVC and answering questions – especially my questions about how much DVC would cost both in terms of purchase as well as annual charges. That meeting ended with the overall message that there is no hurry to make up your mind. DVC was more than happy to provide all of the relevant (legally required) time-share disclosure documents too. Unlike another company’s time-share pitch I had attended in a Chicago suburb, there was absolutely no pressure to BUY NOW! I am sure there was a tour of a model unit, but I have no specific memory of that. I do remember that the Open House concluded with a complimentary ice cream sundae! Three years later, in February 2000, I decided that I was ready to buy into DVC. 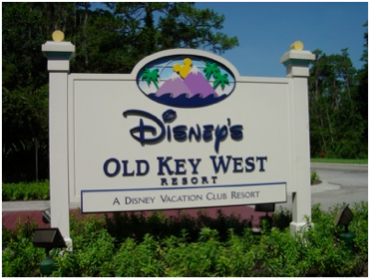 The Old Key West sales center had closed, as that development was nearly sold out, and sales had begun at Disney’s BoardWalk where the new sales center was located. Since I had been to a previous Open House, I was not treated to any of the preliminary “magic” they may have been offering at the time. Instead, I was treated very professionally, and we went through the steps necessary for me to buy my first DVC interest and receive the incentives they were offering at the time (a cash credit against the purchase price in exchange for not using the membership in my first use year). 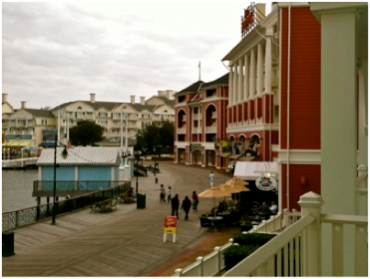 My Home Resort as a result of my original DVC membership is BoardWalk – a short boat ride or walk away from Epcot’s International Gateway entrance and a slightly longer boat ride or walk away from what is now called Disney’s Hollywood Studios. I subsequently purchased DVC Home Resort add-ons at Old Key West and, (more importantly for New Year’s,) Disney’s Beach Club. DVC membership also provides benefits that can and do change from time-to-time. For example, the earliest buyers of DVC membership received length-of-stay theme park tickets for a limited number of years with their purchases. By the time I joined DVC, that offer had ended. Since that time, DVC has offered discounts on the various park admission media. As a result of those discounts, I have been Annual Pass Park-Hopper Passholder for quite a few years. DVC offers members other discount opportunities as well – like tours, dining, merchandise – but time and space do not allow the opportunity to explore the value of each here and, of course, they too change from time-to-time. Of note to me over many years, however, DVC provided free valet parking to DVC members at DVC resorts. Unfortunately, that benefit ended when Disney outsourced Valet and Bell Services a few years ago. On the positive side, for the past few years (including at the time of writing this article), DVC now provides free in-room High Speed Internet Access to members rather than require members to pay the $9.95/day charge. The first time I visited Walt Disney World solo for New Year’s Eve was in December 2002. 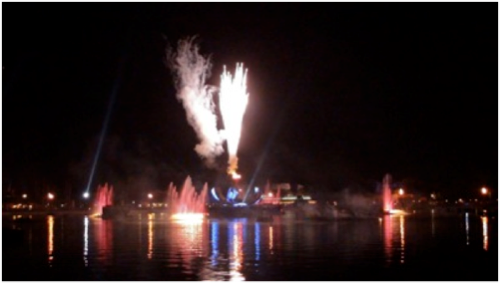 It was not, however, the first New Year’s Eve I had spent at Walt Disney World. That distinction goes to December 1989, when, as a college graduate not yet enrolled in law school, I visited Orlando with my parents for New Year’s week because my brother and several friends were performing as members of the Marching Illini at the Citrus Bowl on January 1, 1990. I spent New Year’s Eve at EPCOT Center (as it was then called) with my parents. While it was a “turn-of-a-decade” New Year, keep in mind that it was before the Millennium: in my view, New Year’s Eve has become a much bigger “event” since the turn of Y2K (and, for the record, that night when we ushered in Y2K, I was extremely ill with the flu on my couch at home watching the Peter Jennings round-the-clock marathon on ABC). The fireworks ushering in 1990 were impressive, but they were not the spectacle they have become since the Millennium. 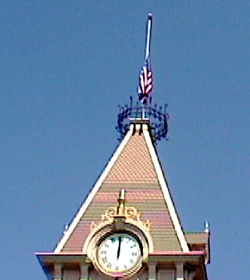 half staff on September 13, 2001. So, as the year started and I started thinking about how to best use my DVC points for 2002, I decided to visit Walt Disney World for the New Year. I figured that the combination of my Home Resort priority and the over-all decreased travel would make it a good trip – and a good deal warmer than hometown Chicago. It turned out that I was right on both counts and thus my annual tradition began. before the countdown to 2011 began.